Fresh Baked Cute Unicorn Rainbow Pancake With. Kids Meal. 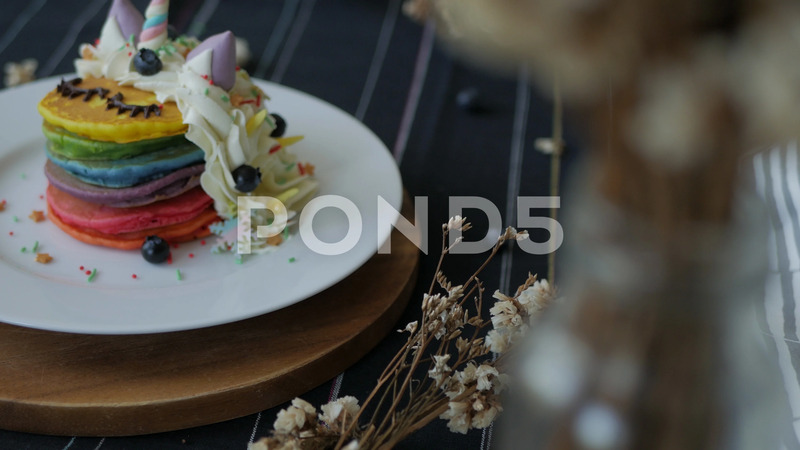 Description: Fresh baked cute unicorn Rainbow Pancake with buttercream berry and decorate sugar. kids meal.